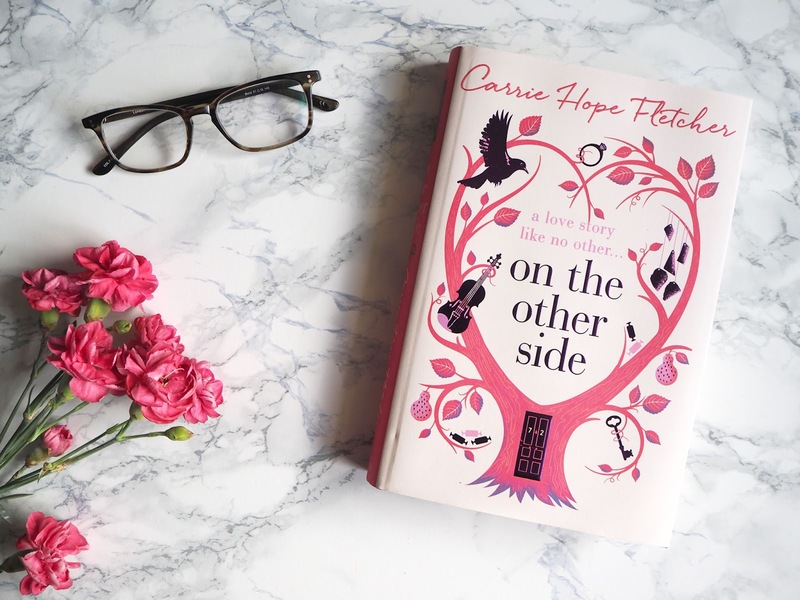 When I purchased this book, I was not really aware of Carrie Hope Fletcher as a YouTube personality. I bought it because I follow Waterstones Arndale on Instagram and they put up this book with the blurb underneath and I was in. Right. Let's dive straight in. There is definitely a charm to the story, something about the narrative kept me reading, partly because I do find it very hard to put down a book and never pick it back up to finish, but mostly because I was interested to find out how the story played out and whether Evie finally found peace. There was definitely some emotional engagement; I shed a tear or two a couple of times. The LGBT+ representation is definitely a strength, although there is something about it that feels a teenie bit contrived (sorry) the fact that it is even there is definitely something worthwhile in a step towards better representation in all its forms. The characterisation is a little bit to black and white for me personally, there never seems to be any grey area in how we feel about each character which for a while can seem like you are giving the reader clarity, but after a while does give the story a predictability which while some readers will find incredibly easy to forgive, I found it made me read like I was going through the motions a little bit. When the book is set becomes very confusing, you begin the novel with the expectation of somewhere circa the 1920s, as Evie Snow has recently died of old age and we are flashing back to her youth, but then there is a mention of mobile phones and suddenly I had to bring my perception of the flashbacks in the book into the present day. This then made me question the story; whether a mother in this present day would have that much influence over whether her daughter got a job and lived independently. I also refuse to believe that Evie did not love Jim, even as a companion. At the end of the story it was him who I felt intense sympathy for, even though it is claimed in the book he ends up with what he wanted. It is the cold way that Evie talks about him that just didn't sit right with me. The magical realism. I was on board for a very long time, Little One I could totally get on board with. Then the heart happened. The book as a whole was fairly enjoyable to read (I really hate doing reviews that are anything but glowing as I cannot help but empathise with the amount of work that must have gone into writing and publishing a novel), but it didn't do a whole lot for me.